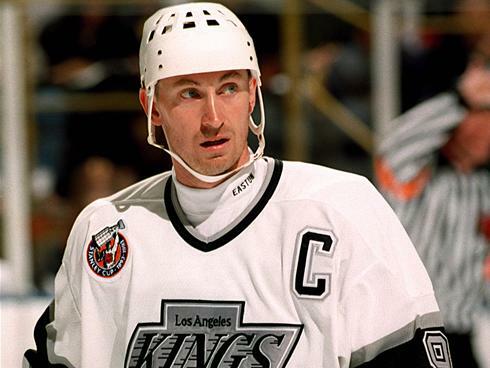 In a surprising and shocking trade, Gretzky, along with enforcer Marty McSorley and centre Mike Krushelnyski, were traded to the Los Angeles Kings on August 9, 1988. In exchange, the Oilers received $15 million US cash, young star Jimmy Carson, 1988 first round draft choice Martin Gelinas, and the Kings’ first round draft picks in 1989, 1991, and 1993. The trade occurred because Pocklington didn’t want to risk Gretzky leaving Edmonton without getting anything in return. Gretzky had converted his personal services contract with Pocklington into a standard five-year player’s contract with the Oilers in the summer of 1987 with an option to declare himself an unrestricted free agent after the 1988 – 1989 season. During the 1987 – 1988 season, Pocklington had approached Gretzky about renegotiating the contract, but Gretzky, unwilling to give up his chance at free agency, refused, which ultimately led to the trade. None of this was public knowledge at the time.